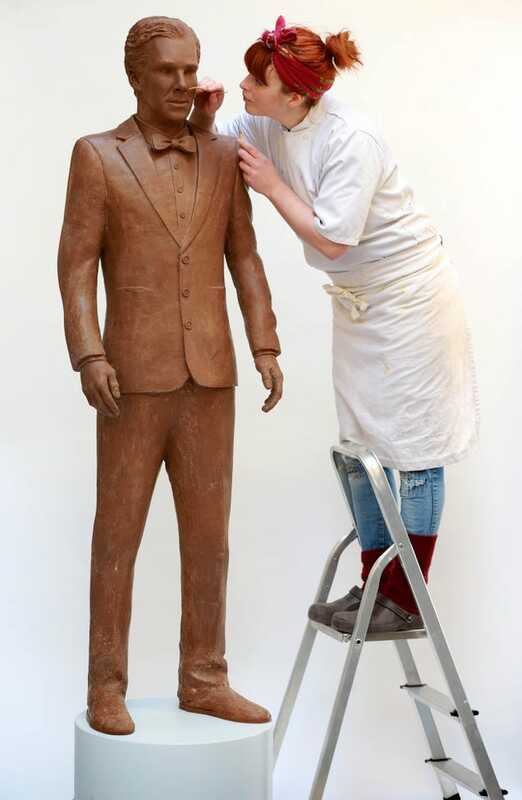 Telly channel Drama made a life-size chocolate model of Benedict Cumberbatch to celebrate its launch on UKTV's on demand service. Chocolate Cumberbatch weighs 40 kilos and was made using 500 bars of Belgian chocolate. The likeness is truly impressive.